Porsche Boxster center wind deflector. Fits Boxster (S) from 1997-2004. This part was removed from a 2008 Porsche Cayman S 987 3.4L with 72k miles. With s, without Boxster pkg. Caymans, Cayman R. Porsche Cayman 2008 Base, S 2.7L H6 - Gas, 3.4L H6 - Gas. Porsche Cayman 2007 Base, S 2.7L H6 - Gas, 3.4L H6 - Gas. Porsche Boxster 2005-2011. Porsche Boxster S 2005 -2011. Porsche 911 Carrera 2005-2009 (Fits Convertible Only). Porsche Boxster 2005-2009. Porsche Boxster S 2005-2009. Porsche Cayman 2007-2009. Porsche Cayman S 2006-2009. Up for sale is a Porsche OEM Center Console. We use New, Automotive high quality Leathers & Real Alcantara with Genuine factory color & UV protection to cover steering wheels and other parts. Porsche 911/987/997/GT3/Boxster/Cayman fits many years and may fit other models. Up for sale is this brushed aluminum trim set. I removed this from my 718 Cayman and no longer have the car, so no longer have the need. Comes complete with shift knob for PDK trans, surround trim for around shifter, and entire cup holder assembly. In the tequipment catalog this is a 2 part number set: 991-044-800-45-8YR and 991-553-981-04-U03. Please feel free to email me with any questions. It is in good overall condition. Part number is 986.551.631.00. Porsche Boxster 1997-2004. Porsche Boxster S 200 0-2004. Chassis: 986. Model: Boxster S. Make: Porsche. 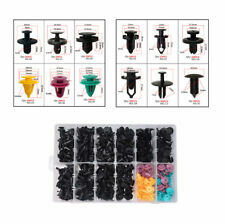 Manufacturer Part Number: 99655233500. Color: Grey. Porsche Cayman Boxster Upper Steering Column Cover. Part # 997 552 273 02. Item Pictured is Actual Item Being Sold . 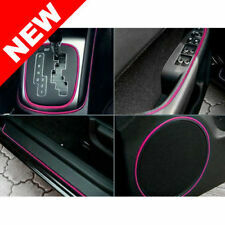 Porsche 986 Boxster S Console Trim. Condition is Used. Excellent condition. Came with a kit for a few replacement parts for my 996 Turbo. Don’t have a Boxster so hopefully another Porsche enthusiast will enjoy this piece. Factory part. Thanks for looking - cheers! Taken off a 2014 911 Turbo with 780 miles. Factory cluster cover for a 2005-2008 Porsche 987 Boxster or a 2006-2008 Porsche 987 Cayman. In good overall condition. Removed from a 2008 Boxster that had a sand beige interior. The vinyl is in good condition with no major wear. 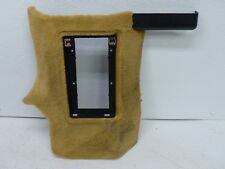 Here is a nice used original genuine Porsche carpeted rear wall cover 986.551.035.00 as used on 1997-04 986 Boxster models. Wir sprechen Porsche! No surprises here! FULLY Functional. This is a Quality USED Porsche Part in good working condition and does show signs of use. Surfaces are in good shape. Scratches are visible in the soft touch paint. Mounting points are intact. Porsche Boxster Convertible Rear Shelf Storage Bag Compartment Zipper 986 996 This item is used with normal wear & tear. Click to view picture & details. Confirm fitment with your dealer or mechanic. 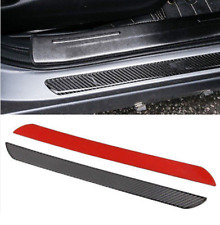 Up for sale is a Porsche OEM Door Sill Trim. Th eTrim has normal wear since it is used. Porsche 911 Carrera 2005-2008. Porsche Boxster 2005-2008. Porsche Boxster S 2005-2008. Porsche Cayman 2007-2008. Removed from 2007 Porsche Cayman S 987. Upper steering column cover in good used condition. Trim carpet panel in black. Pulled from 1998 Porsche Boxster 986. Great shape. 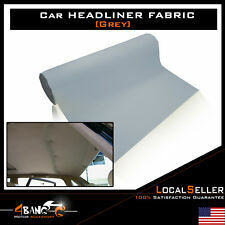 For sale is a used passenger side sun visor for Porsche Boxter in very good condition. 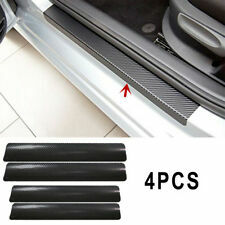 Genuine Porsche Carbon Fiber Trim, Made in Germany. Part Number: 98657264301. The engine types may include 2.7L 2687CC H6 GAS DOHC Naturally Aspirated, 2.9L 2893CC 177Cu. H6 GAS DOHC Naturally Aspirated, 2.9L 2893CC H6 GAS DOHC Naturally Aspirated, 3.2L 3179CC H6 GAS DOHC Naturally Aspirated, 3.4L 3387CC H6 GAS DOHC Naturally Aspirated, 3.4L 3436CC 210Cu. 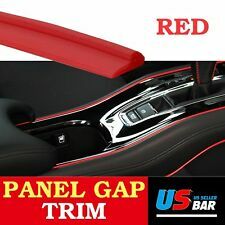 2012-2016 OEM Porsche 991 981 911 Boxster Cayman interior aluminum trim . Condition is Used. 5 pieces. Excellent condition. 1997 Porsche Boxster Center Console Lower Cover Trim, Graphite Grey Leather. Great condition, removed from Boxster at 60,000 miles for Spec Boxster build. I have a used 2017 to 2019 PORSCHE 718 BOXSTER, CAYMAN Gas Filler Pocket Assembly For Sale. You are buying a Porsche 911 997 and Cayman/Boxster 987 front trunk battery cover. It is in great condition, as shown. TBMS Part # 8C008. Porsche 911 996 Boxster 986 Radio Stereo Amp Amplifier HAES 99664531100. Condition is Used. Shipped with UPS Ground. Here is a nice used original genuine Porsche carpeted engine cover 986.551.039.01 as used on 1997-04 986 Boxster models. Wir sprechen Porsche! No surprises here! We use New, Automotive high quality Leathers & Real Alcantara with Genuine factory color & UV protection to cover steering wheels and other parts. Upgrade your interior with the most beautiful Chrono Pod at great price. Porsche Boxster interior storage pocket. 1997 to 2004. 911 Design is housed in a 21,000 sq.ft, state-of-the-art Porsche® repair and service facility, located in Montclair, California. We perform work on Porsche cars only. Porsche Boxster 1997-2004. Porsche Boxster S 2000-2004. 06 Boxster RWD Porsche 987 5 SPEED MANUAL TRANSMISSION. 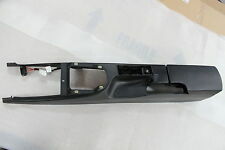 Porsche Boxster 2.7 Right Trim 986 02 OEM 996.552.092.06 This item is used with normal wear & tear. Click to view picture & details. Confirm fitment with your dealer or mechanic. 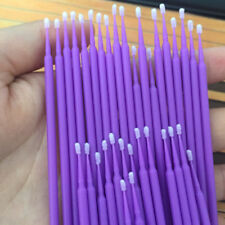 997.424.031.42, 99742403142, 997 424 031 42, 997-424-031-42. 997.424.031.42.9Q3, 997424031429Q3, 997 424 031 42 9Q3, 997-424-031-9Q3. Genuine Porsche, Made in Germany. Up for Sale : 997 Hand Brake, Dark Brown.